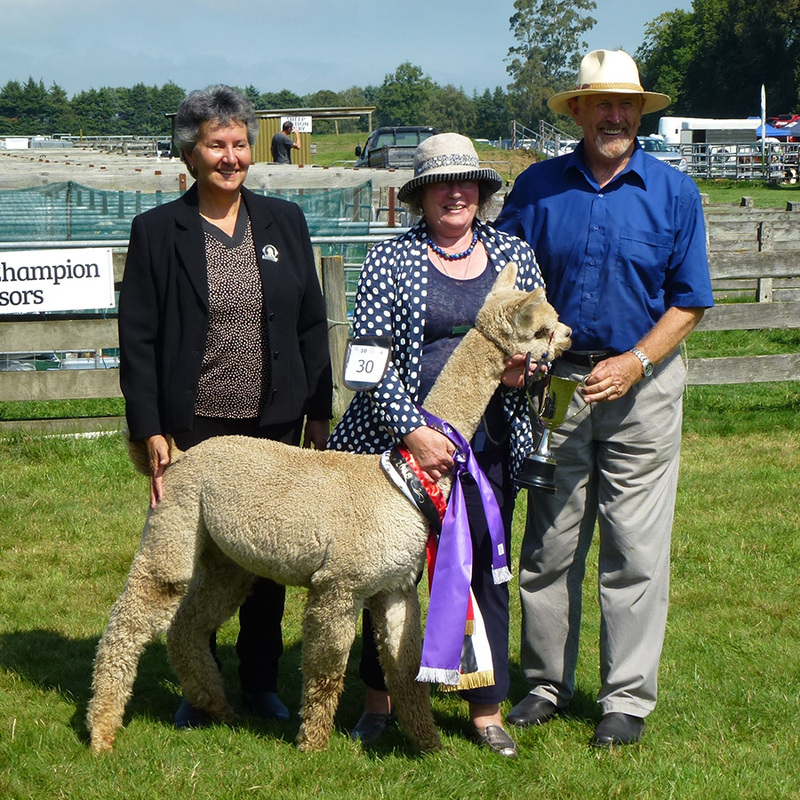 Carrying on the legacy of WF Fire Cracker, we are now pleased that one of his sons WF Nutcracker has won Supreme Champion Huacaya at the Winchester A&P Show on Saturday the 3rd March 2018. WF Nutcracker has a fine soft handling medium fawn fleece, with loads of style and character. While still only a junior he is showing great potential for the future and we will follow his progress with interest.